Treasure House, the UK distributors for Ben Nye and Mehron, share their Top 5 favourites with us. 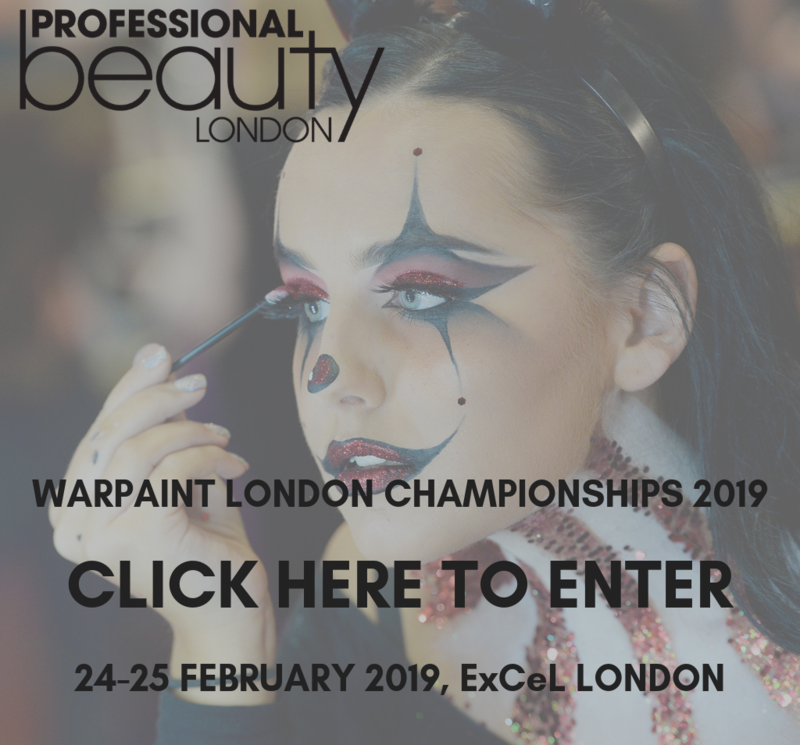 Whether it’s the perfect palette, metallic powders or the ultimate lips colour, there’s something for everyone in their selections. First up, and fresh from the new Ben Nye Studio Colour collection of 17 kit-ready Palettes for every artist, are a couple of crackers. 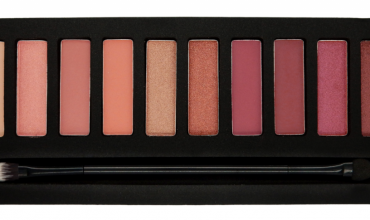 Though compact in size, each palette offers 12 refillable colours to tackle any design, big or small. The clear lid offers instant visibility for efficient organisation and prep. 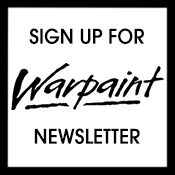 Available in classic favourites and new combinations. 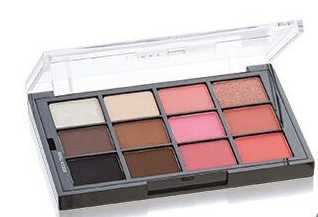 Five eye shadows, five blushes, plus Lumière Ice and Rose Gold, this neat little beauty kit gives you everything you need in one palette. 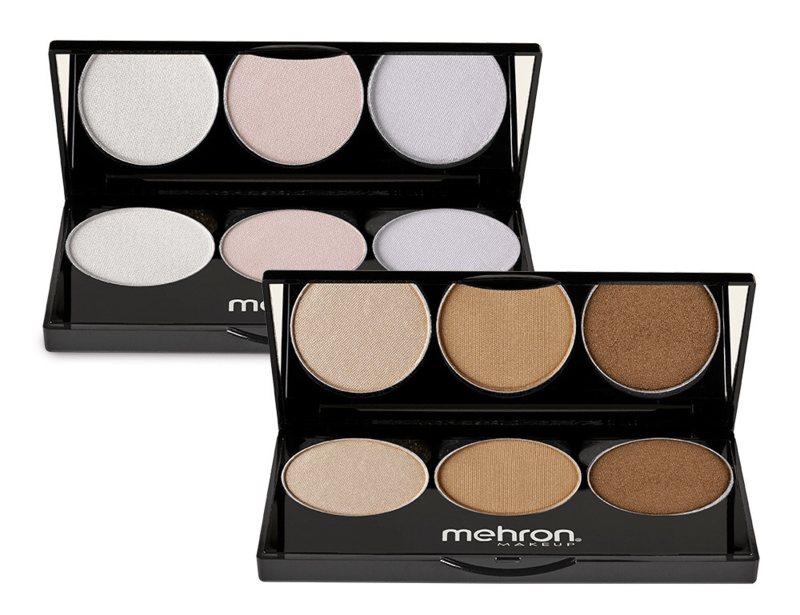 Mehron’s Highlight-Pro™ palettes are formulated with the highest quality ingredients to provide a subtle shimmer and illuminating effect for face and body. 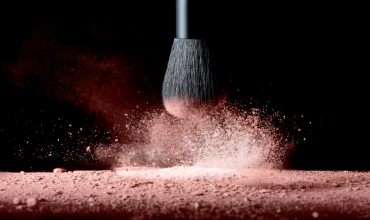 Professional pressed powder is perfect for accenting and highlighting areas such as the cheekbones, brows, inner eyes, bridge of nose, cupids bow and décolletage with a silky, luminous finish. 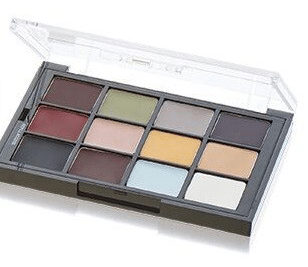 Available in two palette varieties, Cool and Warm, each with three varying undertones, these lightweight and long wearing highlighters are effortlessly blendable and will brighten all skin tones creating a soft, luminous glow. 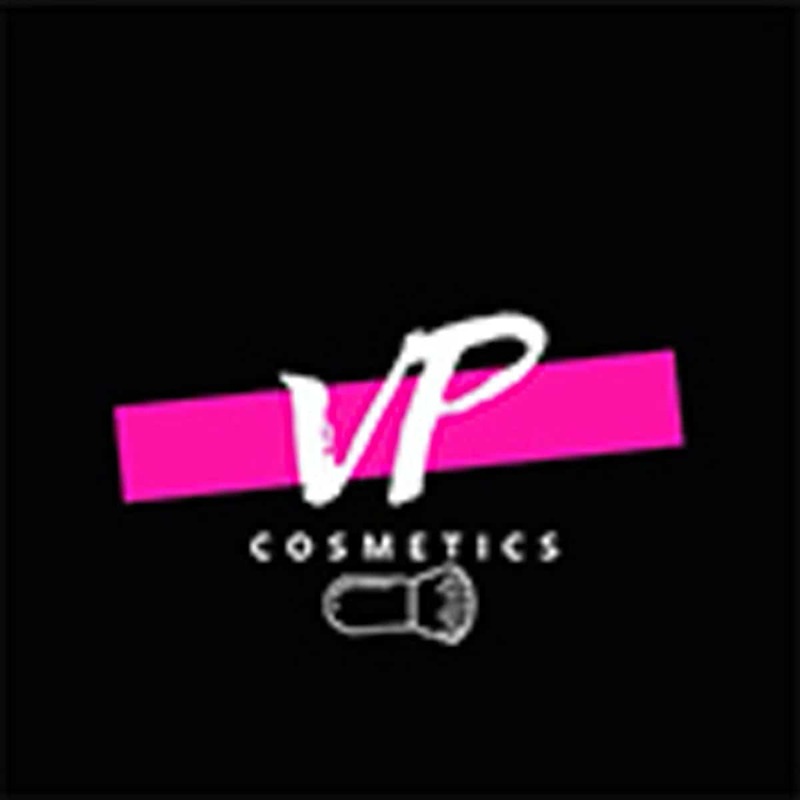 Vegan, cruelty-, talc- and paraben-free, they contain the added benefits of Vitamin E and Shea Butter. 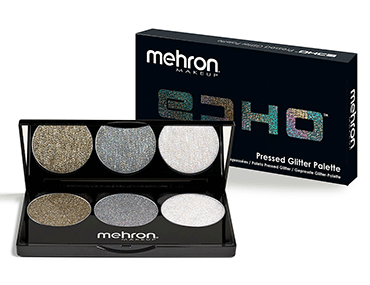 Check out Mehron’s latest advanced glitter – its unique pressed formula allows for glitter application with no mixing medium or adhesive, all while staying put with zero fallout. The deluxe mirrored compact contains three prismatic shades (gold, silver and opalescent) that shift and reflect spectral light for a striking effect, while the advanced hydrating formula contains the beneficial properties of Vitamin E and Pomegranate Extract. 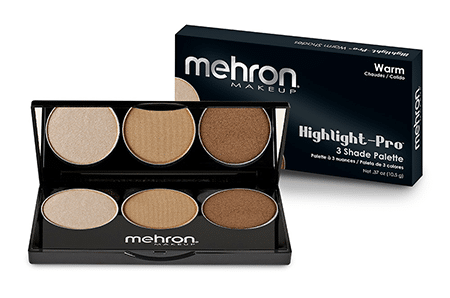 Vegan, cruelty- and paraben free, wear it alone or over your favourite Mehron makeup products, and apply using a beauty brush or fingertips. 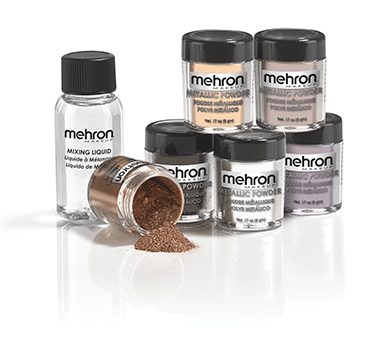 Now available in Lavender and Rose Gold in combo packs, Mehron’s Metallic Powder and Mixing Liquid is a set with unlimited design possibilities. The ultra-fine Metallic Powder Makeup can create dramatic makeup designs and effects, while the soft Metallic Powder Makeup is finely crafted, evenly blended and formulated to add dynamic shiny accents to any makeup look. 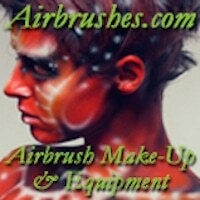 Gold, Silver, Bronze or Copper Metallic Powder can be used alone for a subtle sheer colour or mixed with the included 1 oz. Mixing Liquid to create the intense colour of real metals. Metallic powder available in a small .17 oz (5 g) container with removable sifter and Mixing Liquid in a 1 fl oz (30 ml) bottle.